Η Isuzu παρουσίασε σήμερα το ολοκαίνουριο τζιπ της, το MU-X, το οποίο θα πωλείται σε εκδόσεις 4×2 και 4×4. Ο σχεδιασμός του ιαπωνικού αυτοκινήτου έχει αρκετές επιρροές από το τελευταίο Isuzu D-Max, με την τραπεζοειδή προεξέχουσα μάσκα και τα μυώδη φτερά του να του χαρίζουν μια επιβλητική όψη. Οι εσωτερικοί του χώροι έχουν αυξηθεί και η καμπίνα του μπορεί να φιλοξενήσει μέχρι και εφτά επιβάτες. Μηχανικά, θα εξοπλίζεται με έναν μόνο κινητήρα, που δε θα είναι άλλος από έναν τετρακύλινδρο 3-λιτρο υπερτροφοροδούμενο πετρελαιοκινητήρα απόδοσης 174 ίππων και 380 Nm ροπής, διαθέσιμη από τις 1.800 σ.α.λ. Η κίνηση θα μεταφέρεται είτε στους πίσω τροχούς, είτε και στους δύο άξονες, μέσω ενός πεντατάχυτου μηχανικού ή ηλεκτρονικά ελεγχόμενου σειριακού αυτόματου κιβωτίου επίσης πέντε σχέσεων. Οι εκδόσεις που θα έχουν το αυτόματο κιβώτιο θα εξοπλίζονται με αυτόματο σύστημα ανάβασης και κατάβασης, ενώ τα τετρακίνητα μοντέλα θα διαθέτουν την εξελιγμένη τετρακίνηση της εταιρίας “Terrain command” και με το διακόπτη που θα βρίσκεται στη κονσόλα να έχει επιλογές 2-high, 4-high και 4-low range. Από θέμα εξοπλισμού θα είναι διαθέσιμο σε τρεις εκδόσεις, με την βασική να διαθέτει ηχοσύστημα με έξι ηχεία και συνδεσιμότητα με iPod και Bluetooth, ενώ η πιο ακριβή LS-T θα έχει ενσωματωμένη στην οροφή το σύστημα Sky Sound με 10-ιντσες οθόνες για τους πίσω επιβάτες. Τιμολογιακά, στην Αυστραλία θα ξεκινάει από 40.500 AUD (€ 28.321) για την βασική 4×2 LS-M με το αυτόματο κιβώτιο, ενώ η ακριβότερη 4×4 LS-T auto θα κοστίζει 53,500 AUD (€37.404). Για περισσότερες λεπτομέρειες του αυτοκινήτου μπορείς να διαβάσεις στο Δελτίο Τύπου που ακολουθεί. 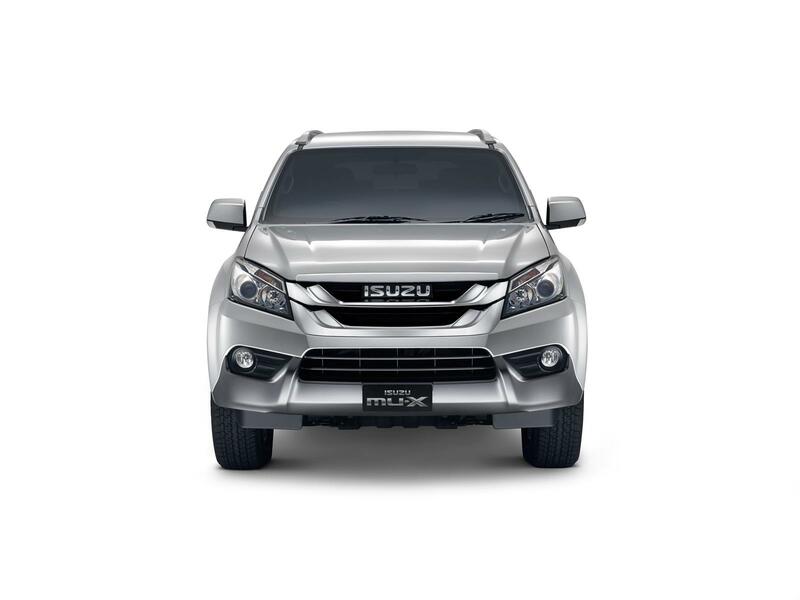 Introducing the ALL-New Isuzu MU-X. A true family-sized SUV that redefines the boundaries of adventure. Whether you’re navigating peak-hour on the weekday school run or traversing whatever the wildest weekend can throw at you, the All-New Isuzu MU-X has you covered for the routine, extreme, and everything in between. Enjoy a passenger car-like driving experience you have come to expect from today’s modern SUV’s, but with a bulletproof 4WD drivetrain mated to one of the world’s most robust diesel engines, the All-New Isuzu MU-X will also deliver you the opportunity to test your off-road ability like never before. 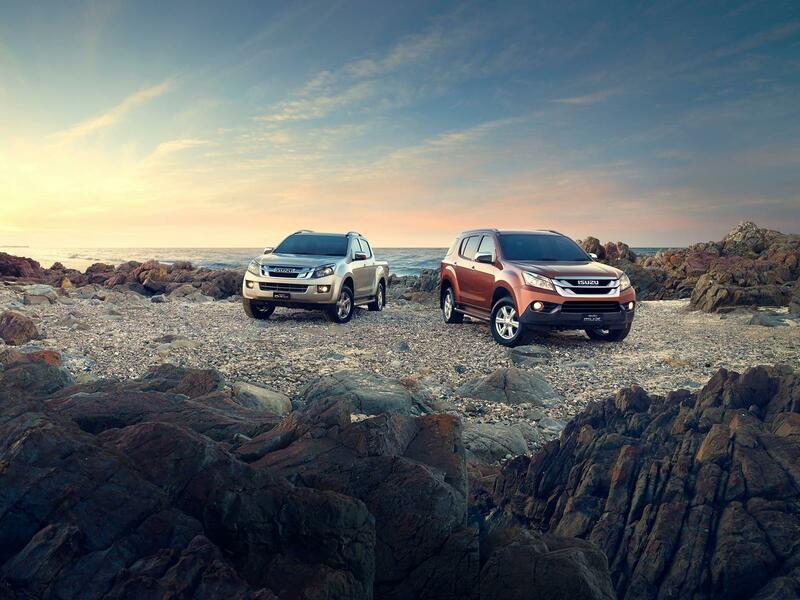 The All-New Isuzu MU-X – Ready when you are. Borrowing styling cues from its D-MAX cousin, the All-New Isuzu MU-X strikes a commanding stance thanks to its wedge-shaped facia and muscular flared wheel arches. Flowing lines create a balanced profile that is at home in the city as it is the bush. Available in three different spec levels, there’s an Isuzu MU-X that not only looks the part, but is appropriately designed with all the features required to suit any driving purpose. Behind the style, there’s plenty of substance. With 3 tonne towing (braked) available on both 4×2 and 4×4 variants, the All-New Isuzu MU-X never knocks back hard work. 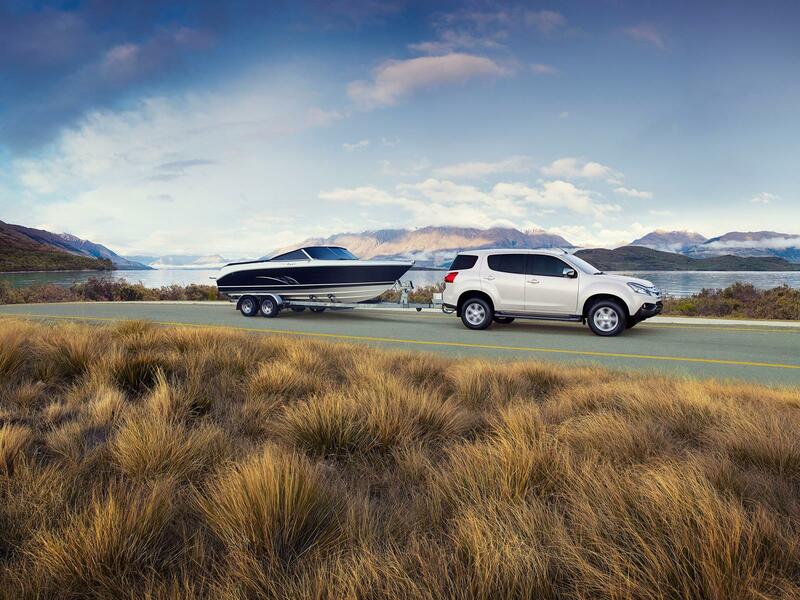 Be it towing a boat, caravan, horse float or trailer, the MU-X does it effortlessly and with confidence – thanks to the ingenious Isuzu technology and Japanese engineering under the bonnet. 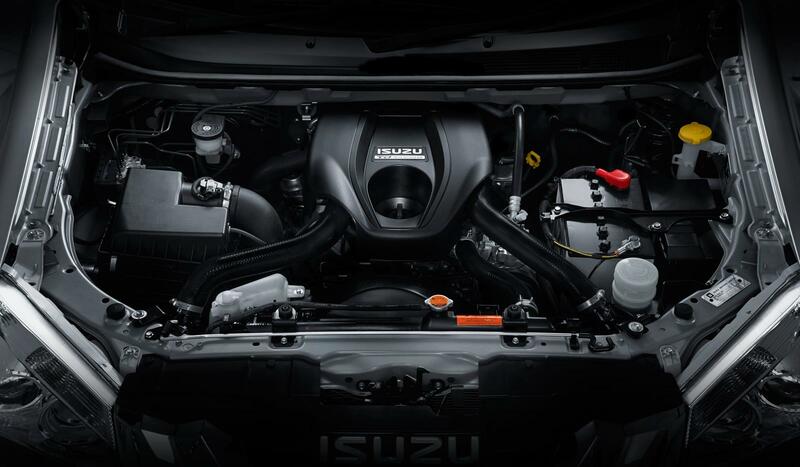 The 3.0L Isuzu 4JJ1-TC Hi-Power diesel engine delivers 130kW of power and 380Nm of torque. 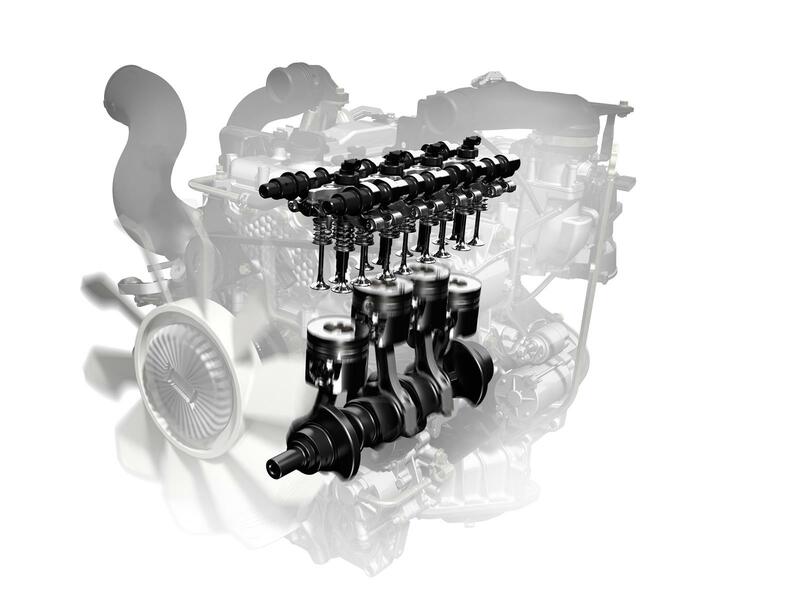 A high-pressure common-rail fuel injection system makes the most of every drop of fuel, and the intercooled VGS (Variable Geometry System) turbocharger provides excellent response over the engine’s entire rev range. Proven in a range of testing environments, each component of the MU-X’s engine has been crafted to reduce fuel consumption and emissions as well as decrease wear and maintenance to ensure years of trouble-free motoring. The MU-X’s automatic transmission with sequential sports mode is electronically controlled by the transmission control module (TCM) and features an adaptive-learning function which constantly monitors brake and throttle applications. This allows the transmission to automatically select the most appropriate shift points and lock-up points depending on the driver’s behaviour, the vehicle speed and the vehicle load. The auto also has ‘Hill Descent’ and ‘Hill-Ascent’ modes. The All-New Isuzu MU-X is a stickler on fuel thanks to three core engine characteristics – low down torque from 1,800rpm through to 2,800rpm provides optimum performance and fuel efficiency, while the MU-X’s Variable Geometry System (VGS) turbocharger alters the direction of exhaust flow to optimise turbine response at low engine rpm to overcome ‘turbo lag’. Overseeing the fuel delivery is the MU-X’s Common-rail High Pressure Fuel System which uses the latest in fuel injector and high pressure fuel rail technology to effectively minimise the amount of fuel in the combustion process, providing superior fuel economy. In addition, automatic versions of the MU-X also benefit from the intelligent ‘grade-logic’ transmission which keeps the MU-X in the correct gear preventing over-revving and unnecessary fuel burn. 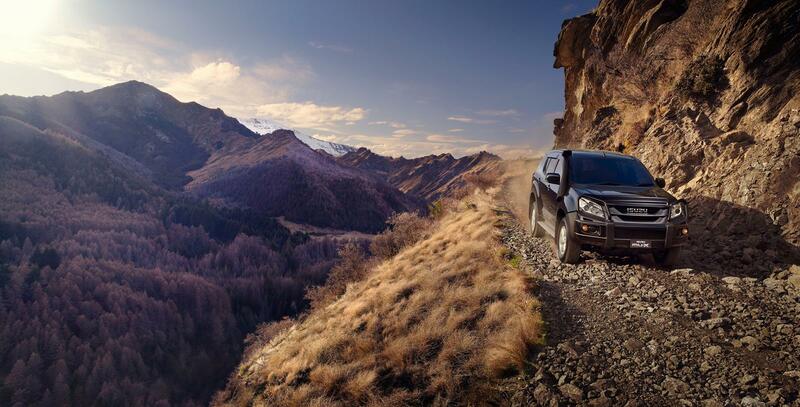 The All-New Isuzu MU-X delivers real-world off road capability. In addition, clever engineering ensures there are no low-slung components – the front lower control arms don’t hang too low, and the air intake is hidden within the front fender. In the engine bay, the ECU isn’t exposed, and the alternator sits up nice and high. Basically, these features mean that Isuzu have protected all the vulnerable parts and a bit of mud isn’t going to seize your alternator. 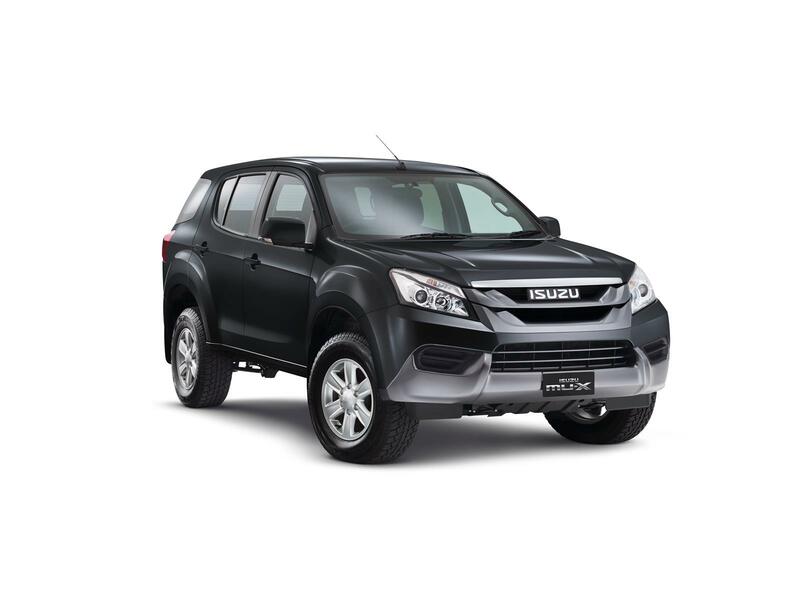 All 4×4 MU-X models are also equipped with Isuzu’s super-easy to use “Terrain command” 4WD select dial (2-high, 4-high and 4-low range) and auto versions are fitted with hill-ascent and descent control. 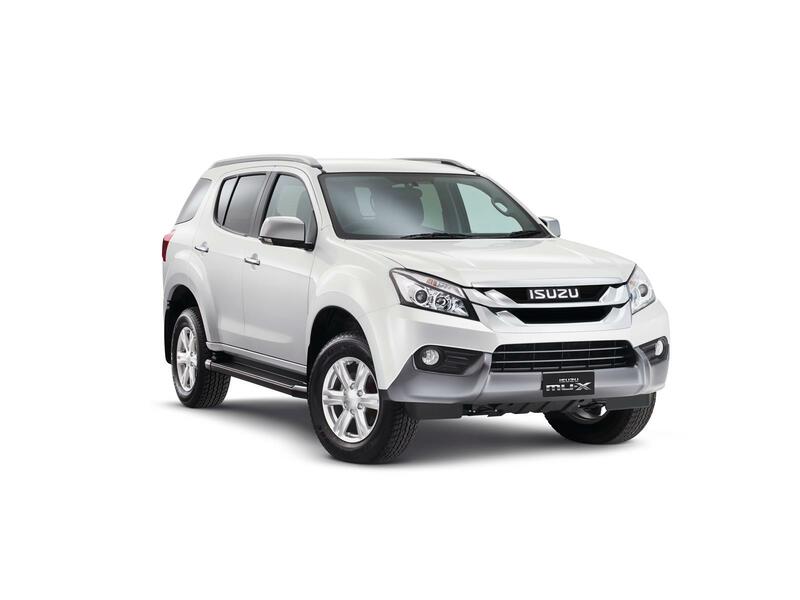 Cloaked behind the sleek exterior lines of the All-New Isuzu MU-X lies a smartly designed interior that creates a wealth of space for all of the family – and then some. There’s room for a team of seven to travel safely, securely and in comfort. Wide door arches make access for all passengers a breeze, and when exploring your sense of adventure off road, there’s strategically placed assist grips to help keep you grounded. A new seat design with ‘wrap-around’ bolsters provide increased shoulder, back and base support delivering more comfort for occupants and all seats in all MU-X models have adjustable headrests. Clever split/fold rear seats in both the second and third rows mean that no matter what seating configuration you choose, the versatile interior will provide plenty of head, leg and shoulder room. Car-like ride and handling both on and off road is provided by a new suspension geometry custom designed for the MU-X. Front independent double wishbone suspension with coil springs, gas shocks and stabiliser bar allows the driver positive feedback and steering control regardless of the terrain underfoot, and a rear five-link suspension configuration also with coil springs, stabiliser bar and gas shocks provide superior stability when traversing off road or towing. A premium audio system with 6 speakers, iPod® and Bluetooth® phone connectivity is standard across the MU-X range, while the top of the range LS-T provides an unparalleled entertainment experience with Isuzu’s “Sky Sound” roof-mounted sound system and 10” DVD monitor for rear seat passengers. Along with Bluetooth® audio streaming, the LS-T also features a touch-screen satellite navigation system with live traffic updates and over 10,000 off-road destinations. In addition to the fun there’s also a practical side to the All-New MU-X’s interior. There’s an abundance of clever storage compartments and with the second and third row seats ability to fold down, there’s also an overly generous cargo area. Oh and did we mention cup holders? – the design engineers have managed to fit 14 of them in to ensure refreshments are always at hand! The newly developed ladder frame chassis in the All-New Isuzu MU-X ensures long term durability when exposed to harsh driving environments – making it ideal for heavy-duty fleet applications. Flat-fold seating creates a cargo space for the biggest of loads and with competitive pricing, low maintenance costs and outstanding fuel economy, the Isuzu MU-X presents cost-conscious businesses with a smart alternative when it comes to satisfying their fleet requirements. The ultra-reliable 3.0L Isuzu turbo-diesel engine completes business case ensuring downtime becomes a thing of the past. Safety is our priority. And to ensure this, the All-New MU-X is fitted with the latest in sophisticated safety features. Built around a high-tensile steel passenger safety cell with side-intrusion bars, the MU-X carries comprehensive crash avoidance electronics including 4-channel 4-sensor ABS (Anti-skid Brake System) with EBD (Electronic Brakeforce Distribution) and Emergency Brake Assist (EBA) as well as Electronic Stability Control (ESC) and Traction Control System (TCS). Four-wheel disc brakes (Front 300mm ventilated front disc with twin piston callipers & 318mm rear disc with single piston calliper) provide the MU-X with surefooted stopping power in any conditions. Additional protection and peace of mind is supplied with six airbags (dual front, curtain and side) in all model variants. 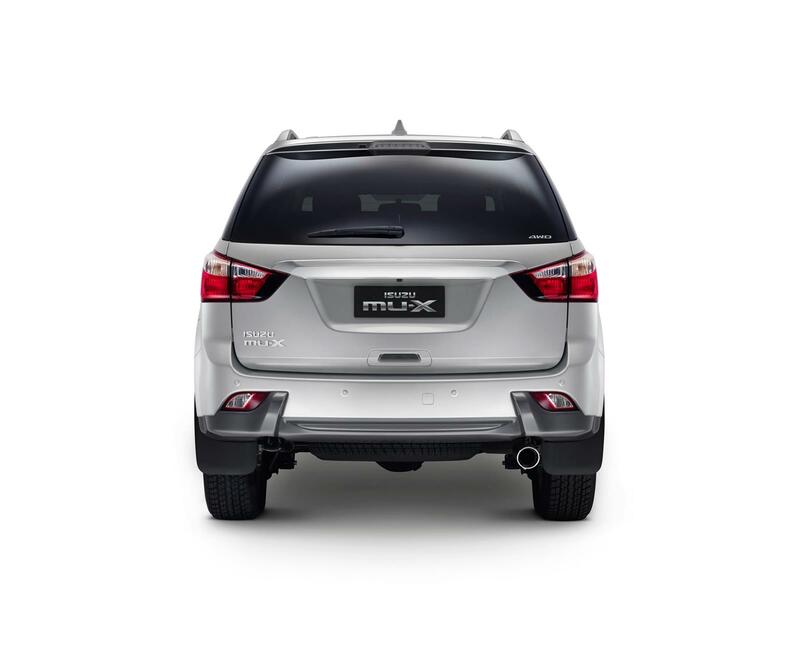 Certain MU-X models are fitted with a reverse camera and rear park assist sensors to ensure driveway safety. 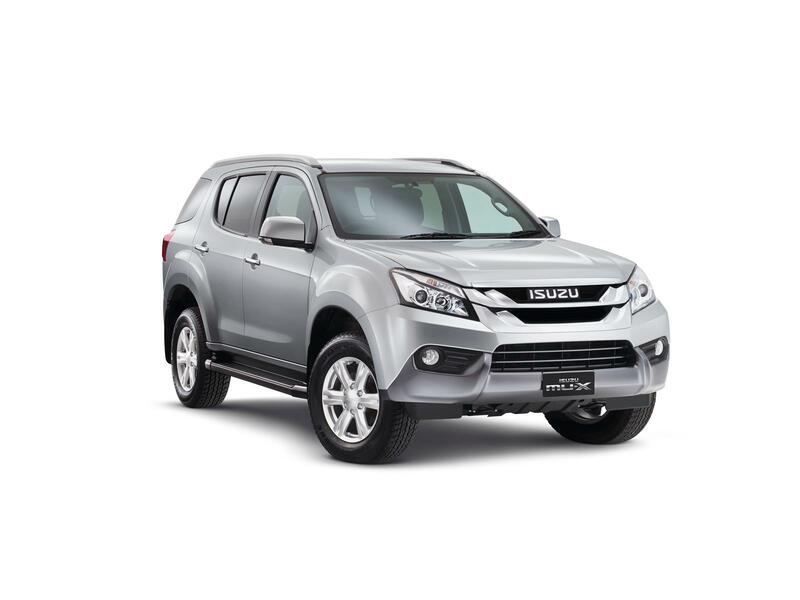 For the ultimate peace of mind, every Isuzu MU-X comes with a 5 year/130,000km* New Vehicle Warranty. Isuzu has built a solid reputation of reliability & durability over many generations of vehicles and the Isuzu MU-X will uphold this tradition. This factory warranty is complimentary with every new vehicle and it can be transferred to the next owner which helps to help keep a high resale value. 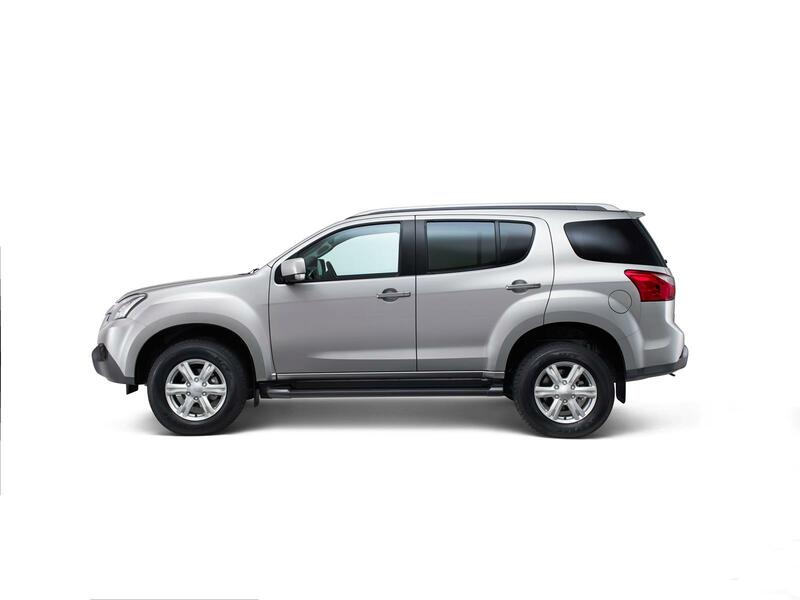 Each Isuzu MU-X also comes standard with the ultimate in vehicle protection – 5 years Platinum Roadside Assistance. This complimentary service offers a wide range of benefits to MU-X owners. *Whichever occurs first, excludes accessories and trays. For eligible customers only. 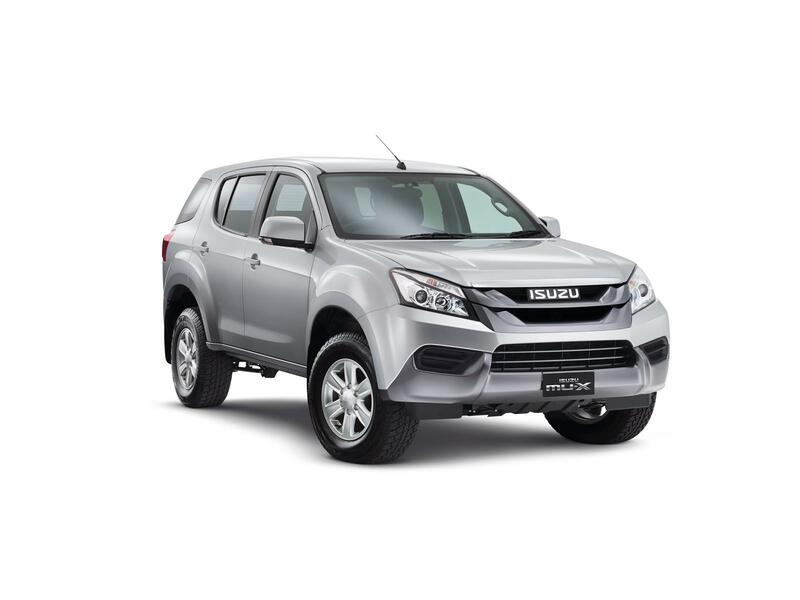 The All-New Isuzu MU-X is offered in three versatile model variants in both 4×2 and 4×4 drivetrains – so there’s a vehicle to suit all purposes, be it for the daily grind or family fun. The entry-level LS-M with colour-coded mirrors and gunmetal grey grille is perfectly suited to those looking for a no-nonsense, all-purpose SUV. While stylish enough for city streets, the LS-M rides on 16” alloy wheels with all-terrain tyres making it right at home on a worksite or farm. The mid-spec LS-U is the family all-rounder. Still tough enough for any job, the LS-U introduces more of the mod-cons expected from a family SUV, making it the ideal choice for those who work hard during the week but want to get away from it all when Friday afternoon rolls around. LS-U exterior styling additions include 17” alloy wheels, fog lights, chrome grille and mirrors, and aluminium side-steps. And the range topping LS-T takes the comfort and convenience levels up another notch. With standard features like a leather-appointed interior, climate control air conditioning, touch-screen navigation system with reverse camera and roof-mounted DVD entertainment system, every journey will not only be comfortable, but a fun one too. 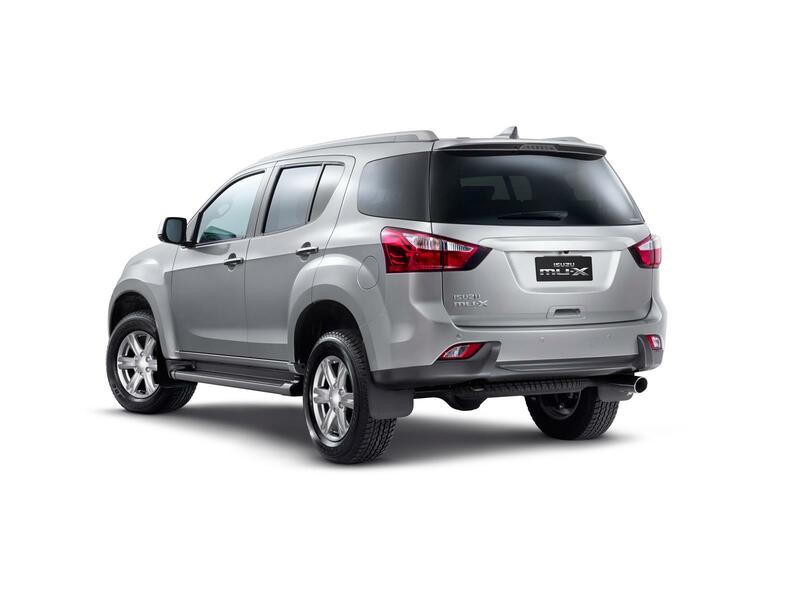 All Isuzu MU-X models are fitted with Rear Park Assist (RPA). Warranty 5 year / 130,000km New Vehicle Warranty*, for eligible customers; plus 5 year Platinum Roadside Assistance. *Whichever occurs first, excludes accessories and trays.